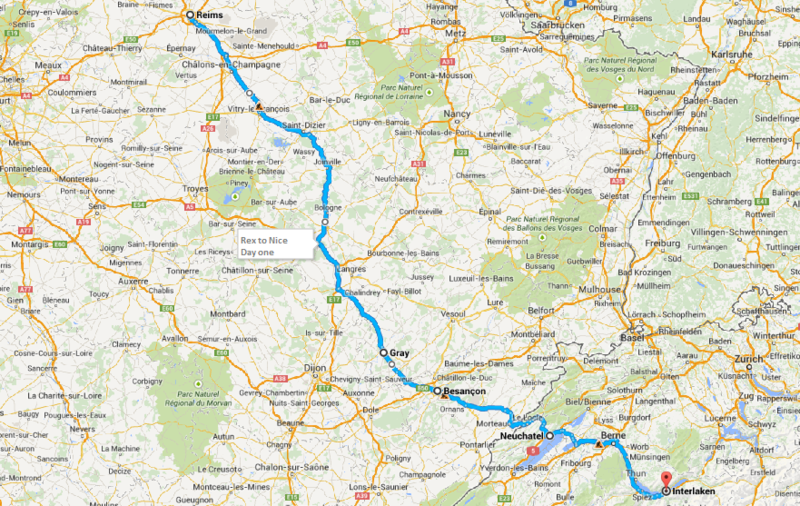 Here you can see the Banger Rally route “Rex to Nice” Day One – Reims France to Interlaken Switzerland. We’ve got some great local landmarks and awesome views on route to kick off “Rex to Nice”. There are two route options for today. The main route shown below taking us through Neuchatel. Option two has the chance to drive the steepest road in Switzerland. Please note no toll roads today.